Sharon and I would like to say an enormous THANK YOU to everyone who came to or supported Curious Live last week! For those of you who couldn’t make it this time here are some photos along with a few thoughts from our delegates. ‘I loved how you had considered all the normal barriers and done something about them – the facebook group, forming relationships beforehand, reading prep. etc. And the best goody bag ever!’ Kate. ‘A seating plan reveals which round table is to be my home during the conference sessions, and there are place names on the actual table as well as flowers, a jug of water and plastic cups. I like this attention to detail – it shows that they really care about making it a good conference experience’. Rachel. ‘Super venue and the goody bag is outstanding’. Lindsay. ‘So much of this I’ve read a little bit about or dabbled in. But I think what I’ve heard and seen demonstrated today will give me the confidence to put it into practice. 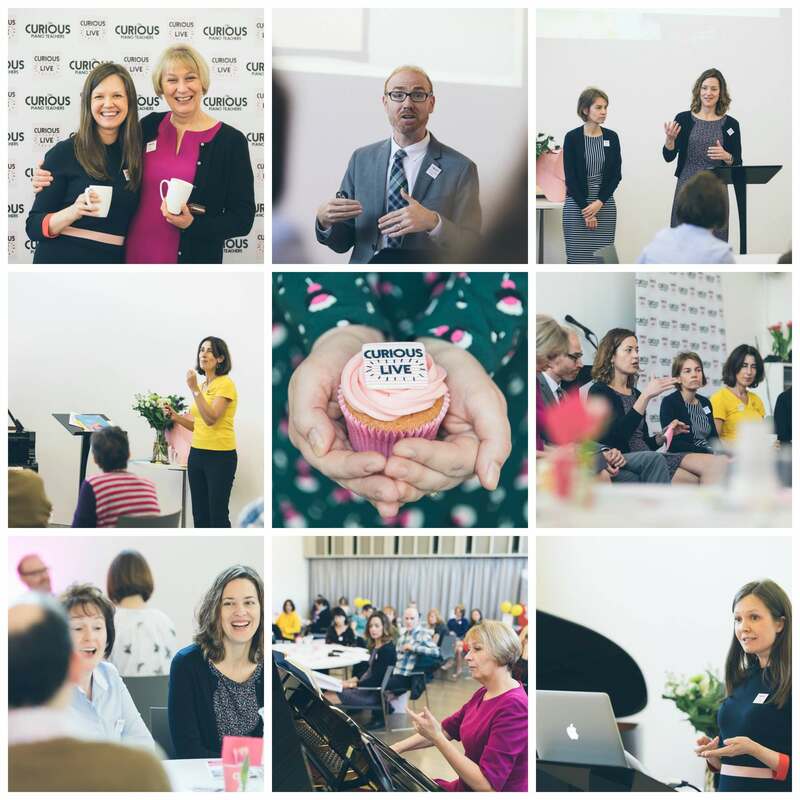 I loved the ideas from Dr Christopher Fisher, the clear report of data from Professor Susan Hallam, the simple and obviously brilliant ideas and material from Samantha Coates, Katherine Fisher and Dr Julie Knerr and the practical ideas from Sally and Sharon!’ Jenny. ‘All the talks have been of the highest quality’. Julia. ‘Thank you for exceeding our expectations’ Sarah. ‘For the first time – as a young piano teacher – I felt truly supported and amongst friends and colleagues who all wanted to learn, who had the same aims for their teaching as I do, and who want to improve their teaching and make our profession better’. Andrew. ‘Feeling so supported and valued as a piano teacher among piano teachers’. Clare. ‘As I left I reflected on the huge benefits of membership of Curious Piano Teachers. 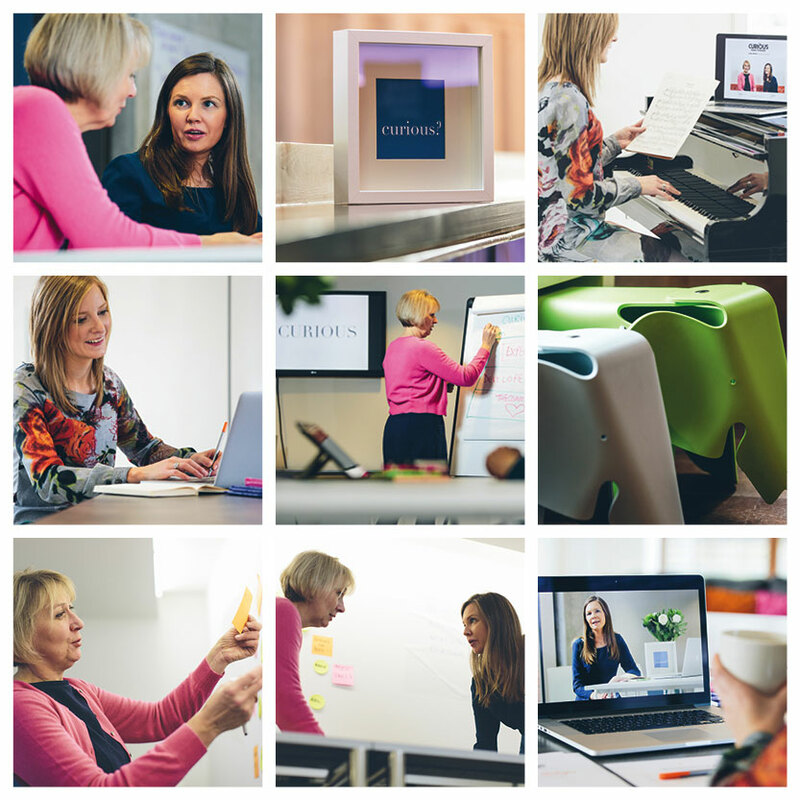 Where else could we access so much expertise, support and …. I have to say this… cake?’ Rachel. As well as all the delegates we would like to extend our thanks to everyone who contributed to the success of Curious Live. The presenters: Professor Susan Hallam, Dr Christopher Fisher, Dr Julie Knerr, Katherine Fisher, Samantha Coates. The conference exhibitors and sponsors: Alfred UK, Casio, Music Sales, Pianist Magazine. Matchetts Music, Belfast, Blackwells Music, Oxford. Piano Suppliers: The Piano Gallery, Faringdon, Richard Pianos, Portadown. The Curious Team: Oonagh Casey – graphic designer, Richard Watson – photography, Nicky Harris – marketing consultant, Val Magee, Amy Matson, Fiona Hedges, Angie Tse – conference assistants. ‘A two day conference would allow more space and time for reflection, collaboration and time for goal-setting’. Claire. ‘It would be great if Curious Live could go ‘on tour’ and visit different parts of the country’. Sioned. The delegates have certainly left us with lots of food for thought about what’s next. Curious Live will be back – watch this space! This blog post was written by Dr. Sally Cathcart, co-founder and Director of The Curious Piano Teachers. 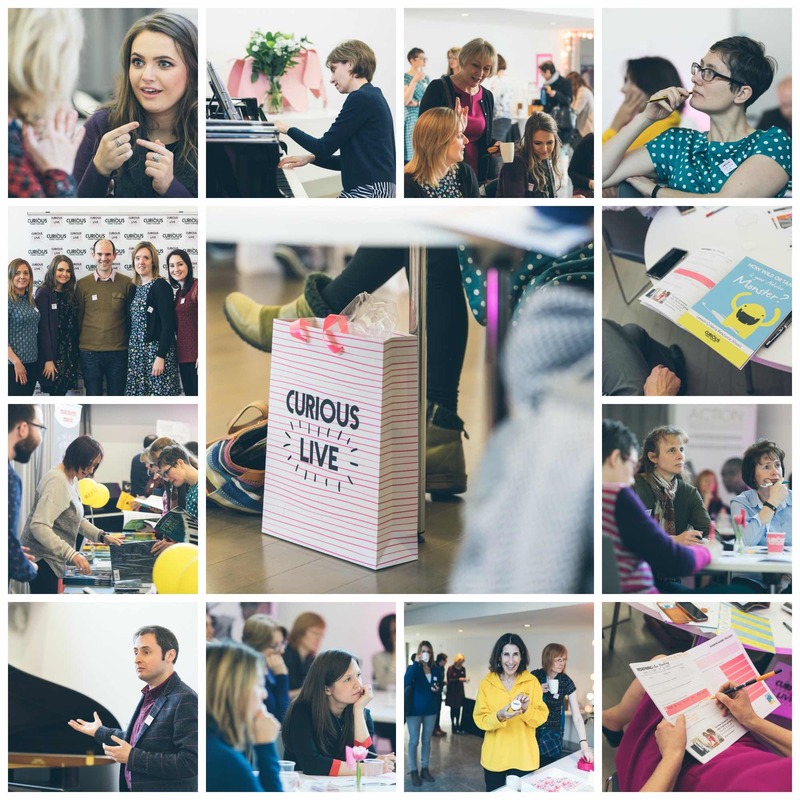 Posted in Curious Live | Professional Development and tagged conference | curious live | how to teach piano | inspiration | Redefining Expectations | The Curious Piano Teachers.